Most people in offices work in teams. Whether it is the accounts team, the HR team, the management team or the people carrying out the customer-facing functions of the business, there are collective efforts going on across the enterprise in order to make it a success. Of course, working in a team is not something everyone takes to naturally. Many people are very individual characters, while some people are simply shy. Others, however, may be highly gregarious and fit in easily. For that reason, team building is not a one-size-fits all enterprise. 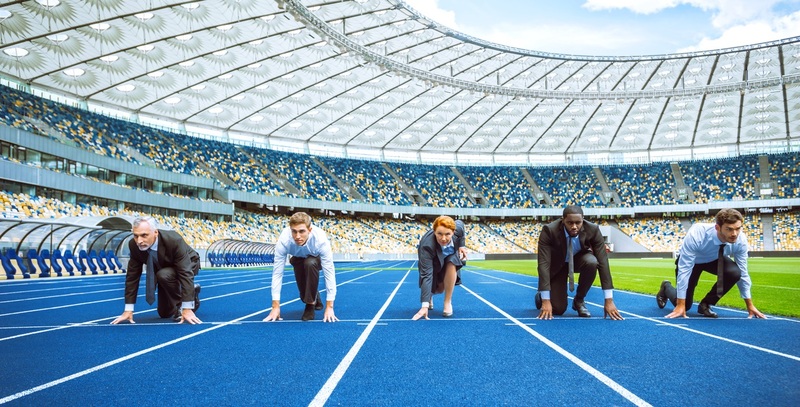 Nonetheless, there are some great ways in which the process of getting staff to work together better can be achieved, and one of these is to encourage staff to be involved in sport. This requires a bit of organisation and may be subsidised by the company, but it simply means that your office could make engagement in sporting activities a major after-hours feature of the workplace. Some of that may be done on a casual basis, with ad hoc teams or one v one games of tennis or badminton, but there is a great deal to be said for having an emphasis on team games. An easy way for this to happen is to set up a six-a-side football team. Or you could have a netball team for the ladies. And if that sounds sexist, it’s because it is – in the sense that there are no men’s netball leagues. That’s actually why it isn’t an Olympic sport! The great thing about playing team sport is it gets people to come together where they might not otherwise do so. This gets some people out of their bubbles and echo chambers, encourages people to accept diversity and may also enable people to get to know those who are in other teams in the office, thus helping to break down barriers. Another positive is that this kind of activity takes place outside the office setting. Many people will relax more in such circumstances and may show more of their character, rather than their ‘work face’. This helps people gain a more rounded, ‘human’ impression of those they share an office with. Indeed, this may be particularly true when management are involved in teams, as the hierarchy that might exist from nine ’til five is suspended and the real character of people is revealed. As with work socials, this breaking down of barriers means people can enjoy the company of their colleagues more. If your team plays in a league and is successful, this will be a bonus, as people may bring that feeling that they are in a team that can win together back into the office. Trust and confidence in others will soar. These are all good reasons for being involved in team sports after hours. There are others too, of course; the health and fitness benefits may mean fewer absences and allow people to feel positive about themselves. Of course, there is always the risk of a sporting injury or two, but that may happen anyway if staff like to play in teams already. So don’t leave those friendships and that camaraderie to the local Sunday league; bring some of that into your business.